We don’t do pricing packages, we don’t see the need for them. We price on a per call received basis + GST. What this means is, if we get no calls for you in the week or fortnight then you only pay the line rental. This price per call includes, a dedicated receptionist and a backup receptionist, email MSG sent to you or your staff or via SMS, bookings made and calls transferred. There is also a once of charge for setting up the DID(phone number and line) this takes approx 2 – 3 days, while this is taking place I ask you for a lot of details in an email that I send to you, visiting your website and finding out more about you and your Business. At Virtual Reception Services I offer Virtual Reception to small, medium and large businesses, I have a dedicated team that make it their business to get to know your Business, so that you get a professional and personalised service. 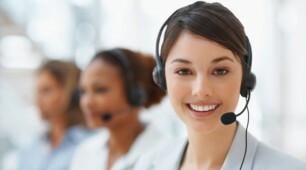 A dedicated Receptionist will be assigned to you from Virtual Reception Service with a dedicated backup receptionist; your clients will always speak to a real person, what this means for your Business is that you will never miss a sale or a client booking, which in turn helps your Business grow. You will be provided with a phone number that is suited to your area of Business anywhere in Australia (yes anywhere) and then all you have to do is divert your choice of phone to the number I provide to you. 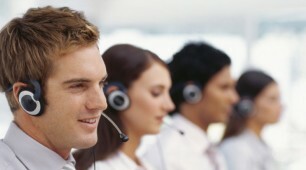 The Receptionist that is assigned to your Business will answer your calls with your Business name and then depending on how you wish us to action that call be it, take a message for you (sent to you via email or SMS), or booking an appointment using the booking system of your choice or your calls can be transferred to your nominated phone again your choice. Your client calls will never be missed and they will never reach a message bank, unless they call after hours. A message bank will be set-up for you, with a greeting of your choice, for after hours calls. These messages come through to me as a wave file and are actioned the next Business day.